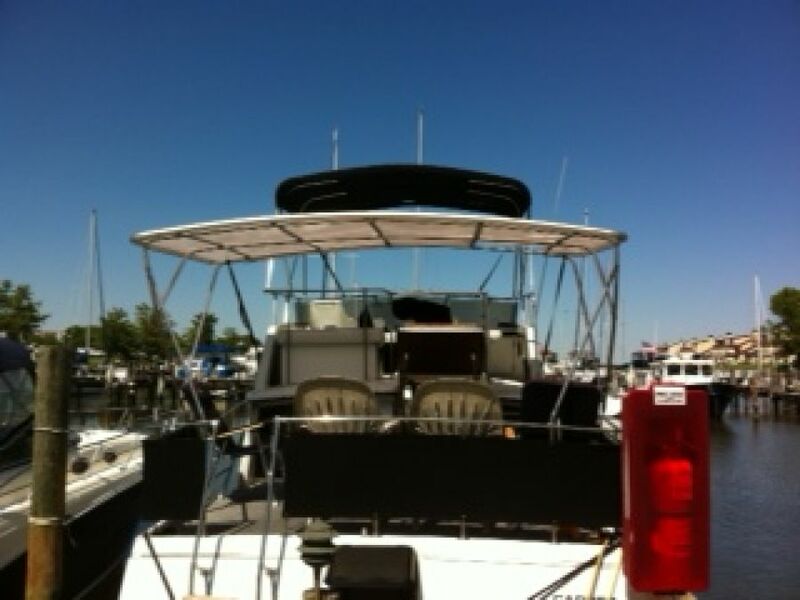 See a boat near I-75 in Fort Myers, FL or call to see a boat near you. Al, You are correct. As I was putting this top together, there were many 'nay-sayers' at the marina. However, after we finished the install, all were highly impressed. This is probably the best money that I have spent on the boat yet. 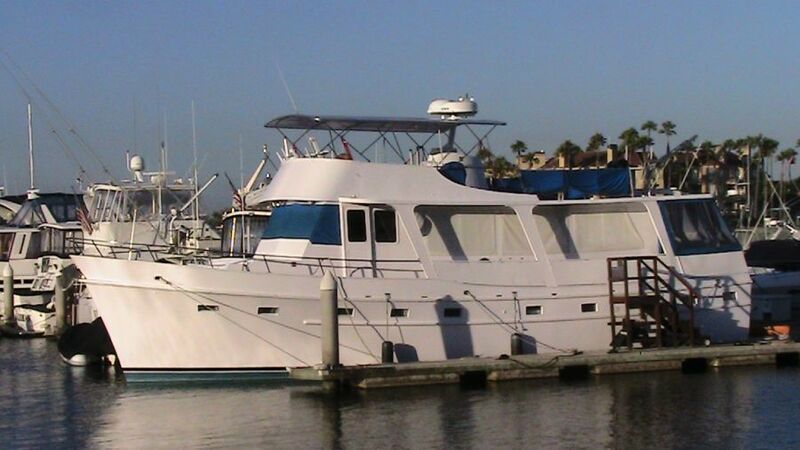 I will probably do the flybridge next spring. 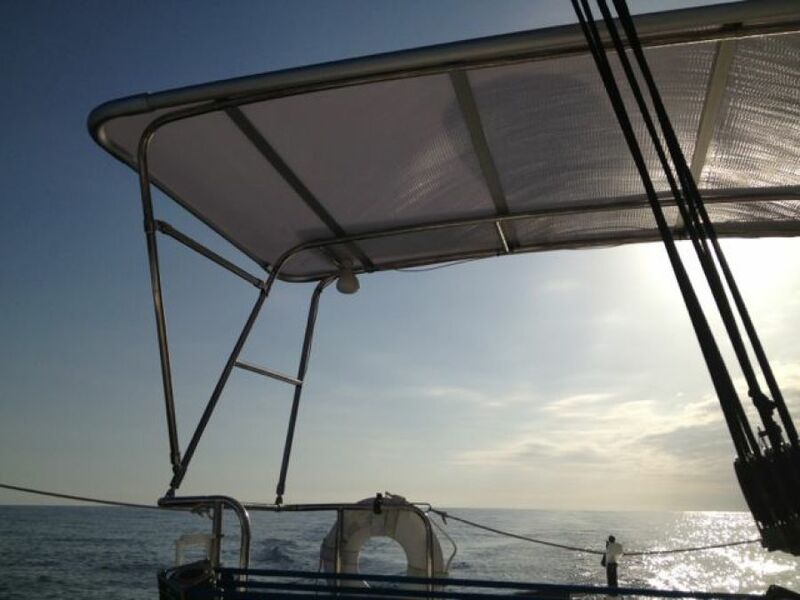 Great the temperature difference between the canvas on the flybridge and the top on the aft deck is amazing. Great product. I attached some pics for you. I am excited about this alternative to canvas and fiberglass. 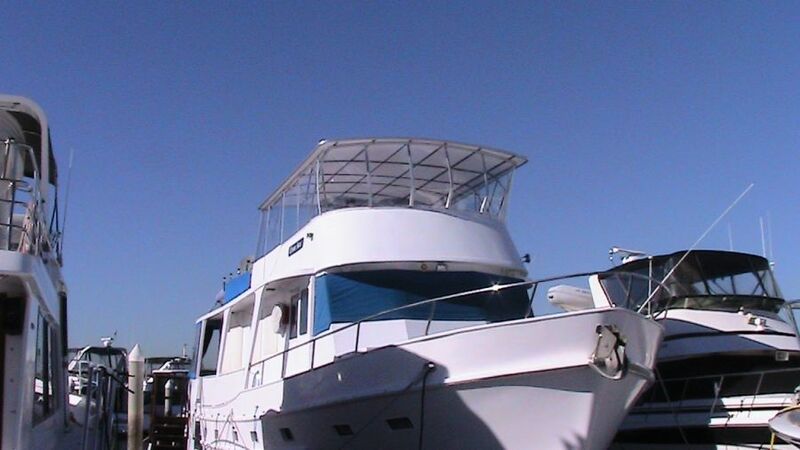 I priced out a fiberglass hard top for just the aft deck and it was close to $9000.00. I priced up a materials list to build one myself out of stainless tubing and Seaboard, it came to about $5000.00. A canvas full enclosure will cost $6000 to $7000 and will not have the benefits of a hard top. This seems to be a no-brainer to me. If we get some word of mouth going around the marinas here in the Chesapeake you could be looking at a substantial 'return' on an operation over here. The top is what I expected and I can't think of any way to improve the product. Other boaters have commented on the top & really like it so I drop your name to them. The plastic practically glows in the dark when very little light is on it. I finally installed my new hard top Thursday before last and really liked it, it fit just well. Last Thursday it was docked in Larose, LA and took winds in excess of 100 knots with no damage. Actually it took the winds twice since the eye of the hurricane passed right over it. We are really enjoying it - it was everything that we expected it to be and does just fine in heavy weather. Just ordered some flexible solar panels to put on top. 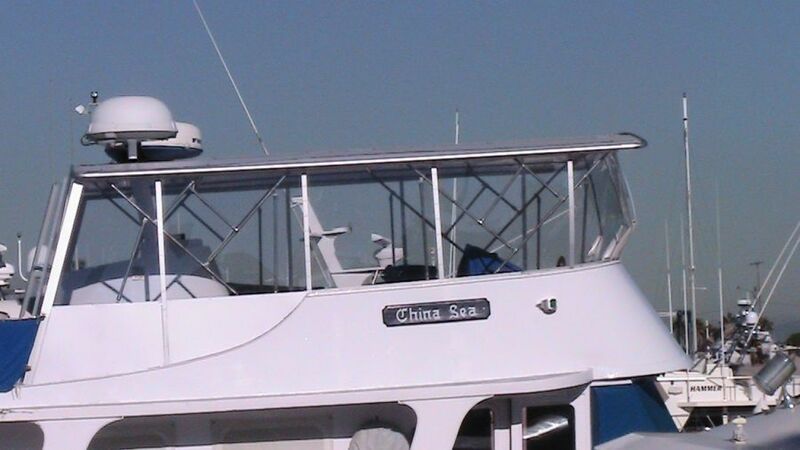 Al: I am completely satisfied with the top on my boat, MV China Sea a 55' Cheoy Lee Trawler. Very easy to install once I understood the system. I will be happy to recommend you and your company. Great service after the sale. Hey team hard-to-top. Very happy with the whole process, install and end result. Both the bimini and dodger top came out great. Lots of compliments. It's sturdy, light, and looks really cool compared to the previous canvas arrangement! Attached are some photos. Feel free to use me as reference but please include the name of my business & URL too. 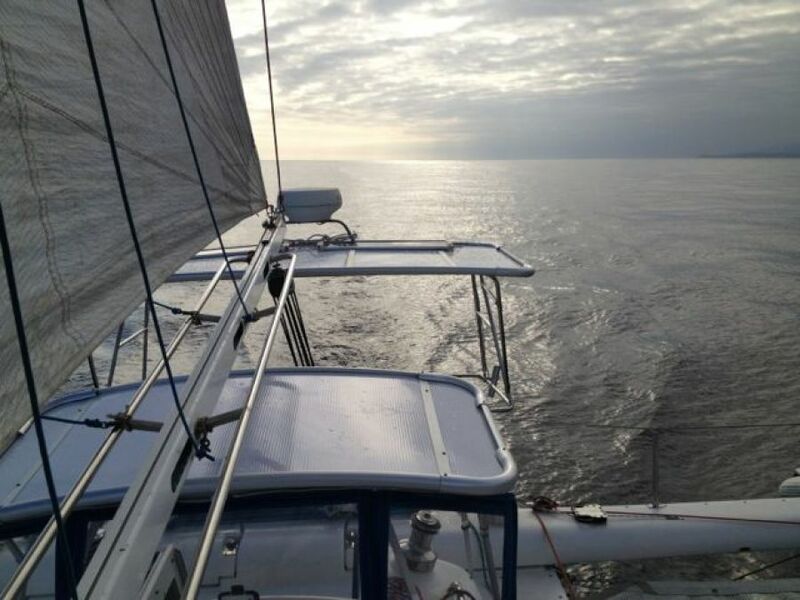 www.PierpontPerformanceSailing.com. Finished top! I was able to do this by myself. I had hold down the roof panels with 30lb plastic bucket and have about 10 hours into it. That would have been cut in half with two people. Anyway, it is beautiful! You can use any pics for your website and I'll spread the word down here! You guys were great to work with. Go get 'em. Ready to order! This is my second hard top. I'm the guy that owns the Sylvan in your photo gallery. 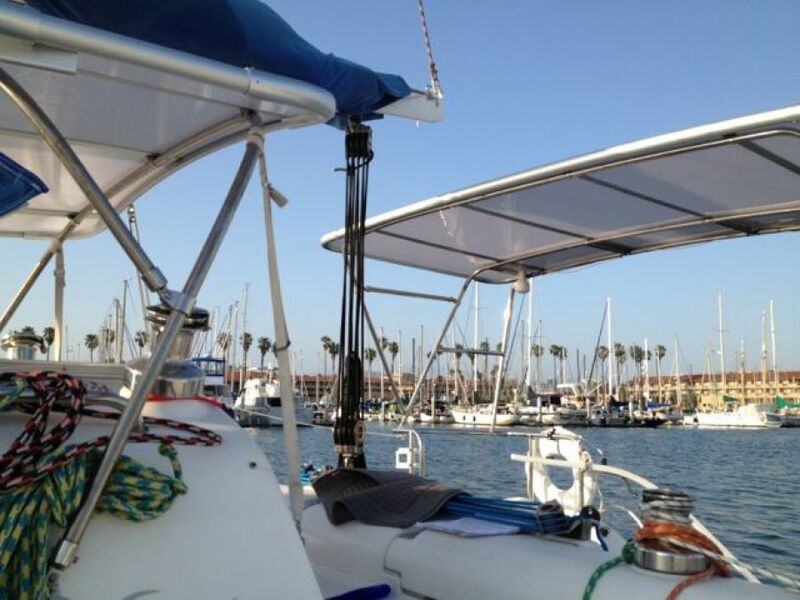 Very happy with finished product, and everyone that goes boating with us loves the shade! 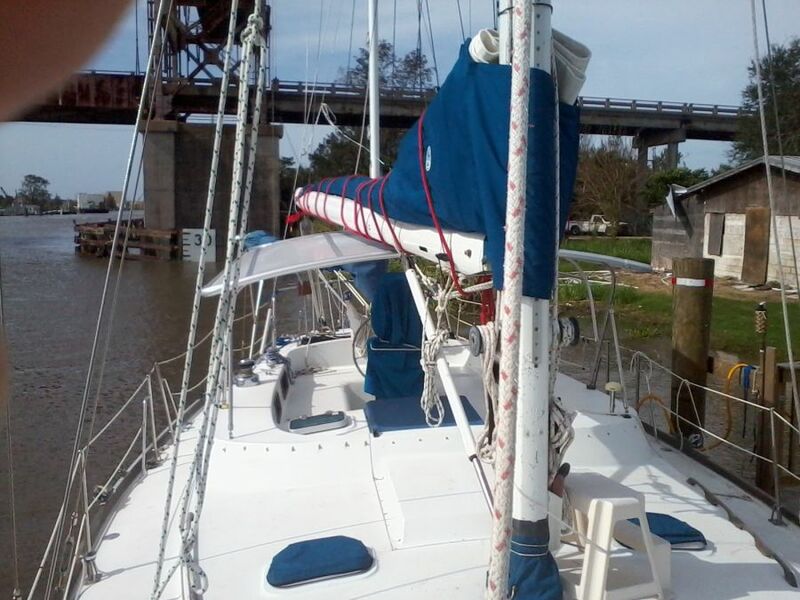 I have a big sailboat and want to change the bimini to hard top. I have attached the dimensions. Let's do it! Al, here are a few pictures of the recently installed hardtop. I was very happy with the fit and form of all the materials. I have gotten a lot of good feedback from curious boaters. We made it through Sandy this year and Irene last year. All we did was take off the canvas and use tie downs to cross brave the corners. Hi! My new hardtop is the talk of the town. Hey Rodney. The top is great. Sure beats canvas. It took me just one weekend to install it. Since then I have made the canvas surround to enclose the bridge. The light is very cool and all my neighbors are envious. I have attached an evening picture for your web site. 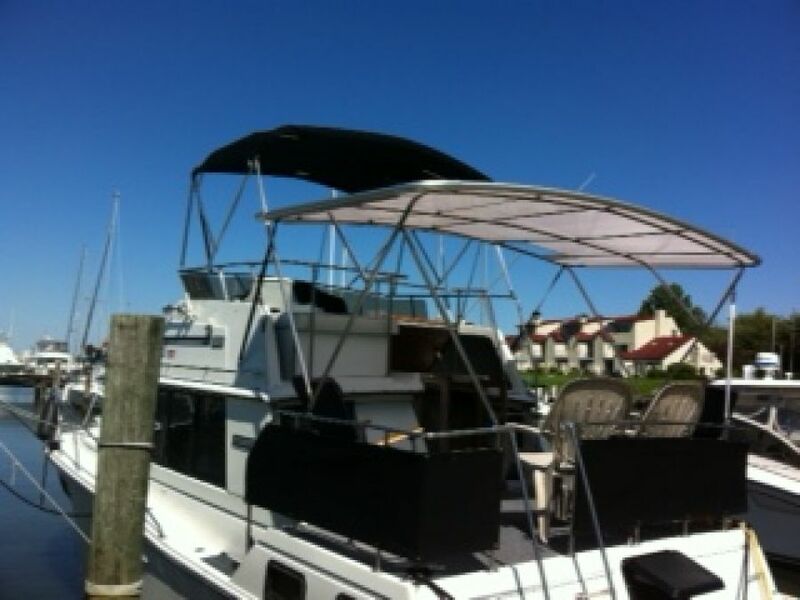 I also have a 45 Hatteras that I am re-doing and will include a top for the cockpit as shown in your promo pictures. My hard to top is very nice. I finally got the lights hooked up a few weeks ago and are nice. I have recommended the hard to top to others, so do like having it and am glad I purchased it. We love our top I need to get some more info on a curtain kit. The top is 11'x8' to start I would like to do the front and both sides for now. Al, Thanks for the info but my top went through 70mph winds several weeks ago with no problems. The boats on either side of me lost their canvas and required either new zippers or new canvas. 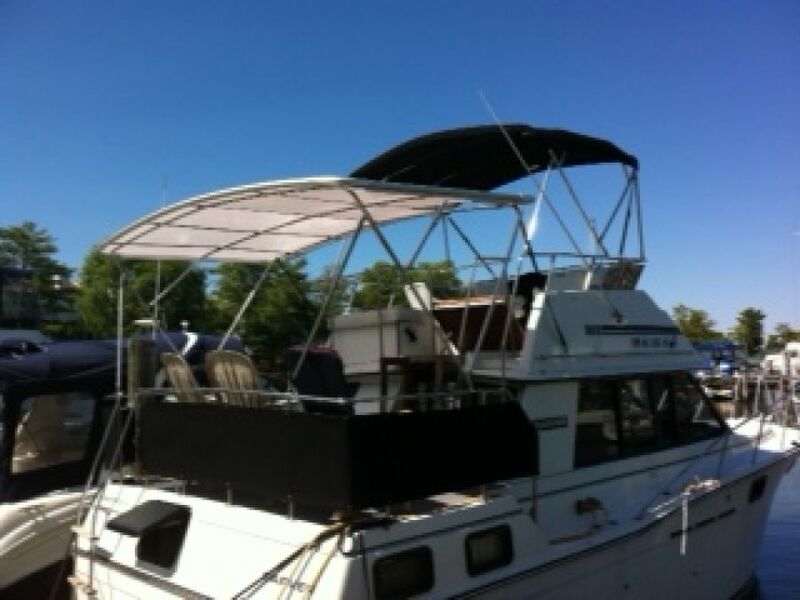 Al Miller, I purchased a hardtop for my pontoon in March of this year. It turned out great. It's been a pleasure doing business with you! Thanks for providing an alternative to canvas. Great customer service to contact your purchasers with the advice. I hope your business is doing well. I get a lot of compliments on my installation. Just a quick report on the top. No problem installing it and looks great. The keder rail is more of a challenge but I am waiting for my canvas guy to take a look at it since he will have to make the canvas fit. I am very happy with the finished product. And the opening for the mast worked well. I will send some photos later. Dear Al, the top on my boat looks great. Hi, the product you send is of good quality and I find it easy to install it. Thanks for the updates and I must say the product held up very well in that hurricane we had all I did was take down the curtains and used rope to keep the top tied down tight to the boat and it worked well... … A lot of people asked about the top and I tell them where to get it and how to measure up for it so hopefully you will get some business. Thanks for the mail. Hardtop when through the high winds off of the storm with no problems. Quite sturdy and many compliments as to design and durability.